The Battle for Silver’ — undisputed champion Dorian Yates receives a perfect score, while a fierce battle for second place makes this one of the most closely-scored contests ever. From Atlanta, Georgia. “The Battle for Silver” — undisputed champion Dorian Yates receives a perfect score, while a fierce battle for second place makes this one of the most closely-scored contests ever. From Atlanta, Georgia. 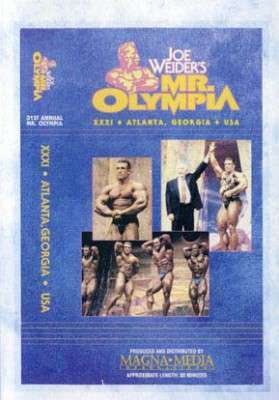 Starring: Dorian Yates (1), Kevin Levrone (2), Nasser El Sonbaty (3), Shawn Ray (4), Vince Taylor (5), Chris Cormier (6), Mike Francois (7), Flex Wheeler (8), Aaron Baker (9), Charles Clairmonte and Ron Coleman (10-tie), Paul DeMayo (12), Sonny Schmidt (13), Ian Harrison (14), Darrem Charles and Pavol Jablonicky (15-tie). Also competing: Porter Cottrell and Achim Albrecht. “The Battle for Silver” — undisputed champion Dorian Yates receives a perfect score, while a fierce battle for second place makes this one of the most closely-scored contests ever. 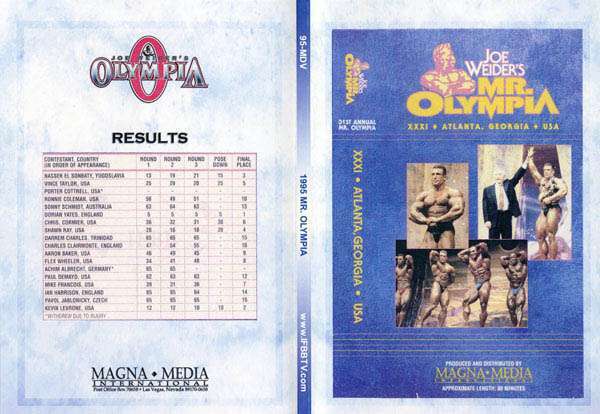 From Atlanta, Georgia.RESULTSDorian Yates (1), Kevin Levrone (2), Nasser El Sonbaty (3), Shawn Ray (4), Vince Taylor (5), Chris Cormier (6), Mike Francois (7), Flex Wheeler (8), Aaron Baker (9), Charles Clairmonte and Ron Coleman (10-tie), Paul DeMayo (12), Sonny Schmidt (13), Ian Harrison (14), Darrem Charles and Pavol Jablonicky (15-tie). Also competing: Porter Cottrell and Achim Albrecht.